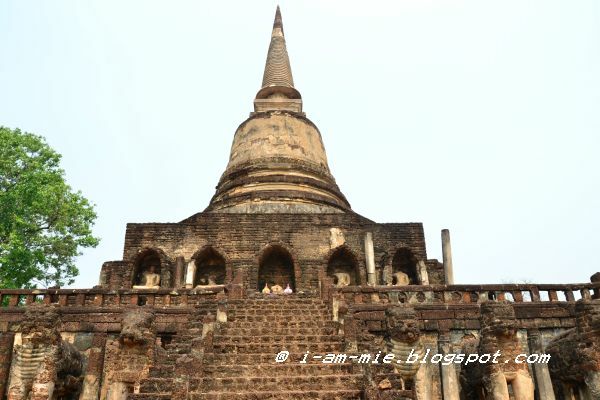 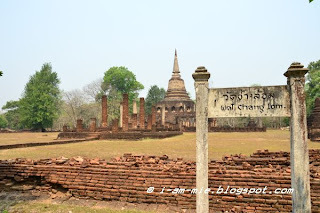 Wat Chang Lom is located almost at the centre of historic Si Satchanalai. 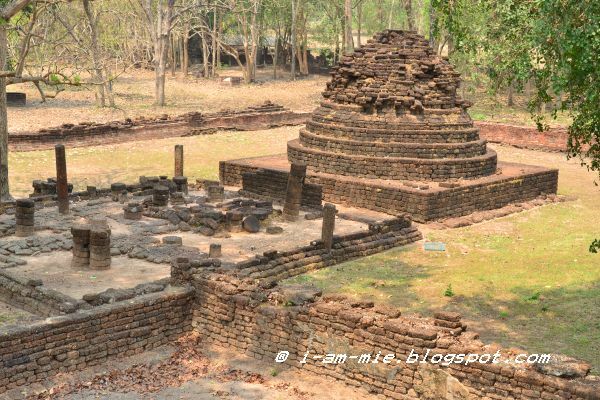 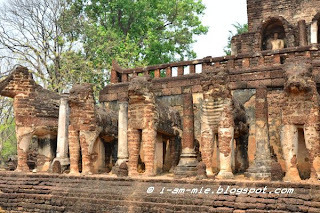 The most important historic building at this temple is the main chedi in Sri Lankan Style. 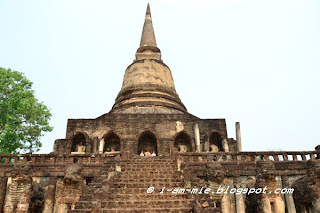 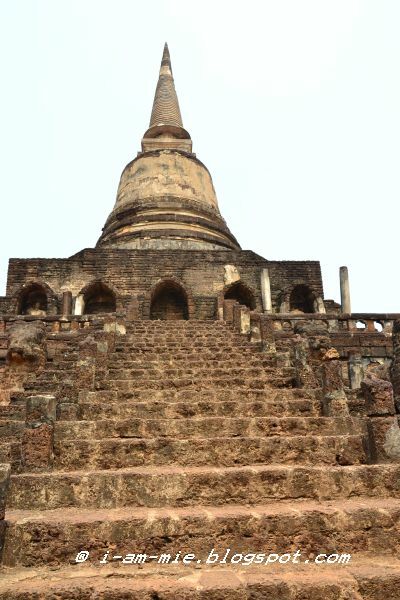 Wat Chang Lom comprises a large Ceylonese style Chedi . 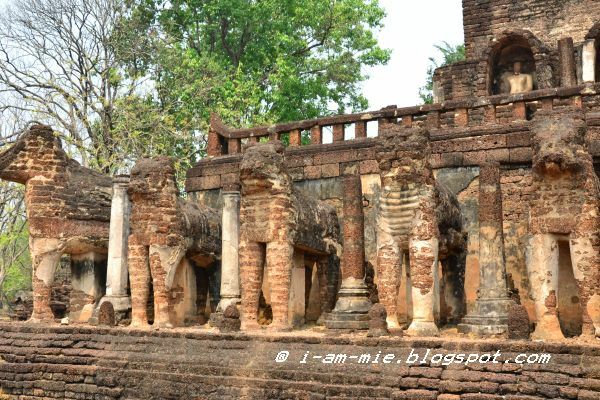 At its base on all 4 sides are large elephant stucco sculptures, giving the impression they support the whole structure above them. 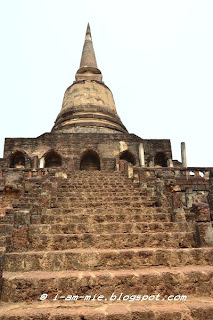 On the terraced level above on all 4 sides are niches in each of which is a Buddha statue image. 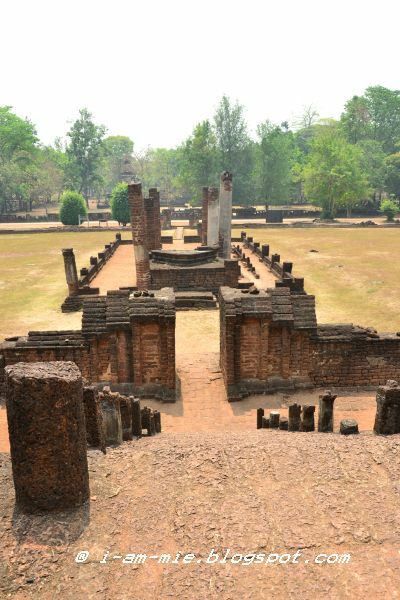 The structure is believed to date from the 13th century.